Teaching students how to learn is just as important as teaching them what to learn. We encourage our students to think for themselves and strive to make the classes as interactive as possible. It is our constant endeavor to facilitate and provide a productive learning process through activity-oriented lessons, hands-on work and extensive co-curricular curricular activities. Our students will learn to be collaborators, innovators, and creative thinkers who will be ready to take on any challenge. Montessori and Kindergarten are offered at the early childhood level. Children begin Montessori when they are three years old and continue until they join Grade 1. Children join Kindergarten at four years of age and continue for two years until they graduate to Grade 1. NAFL-NPS North offers an integrated, interdisciplinary curriculum for Primary school. Our academically rigorous curriculum is integrated with creative arts and presented imaginatively to engage the students physically, cognitively and emotionally. 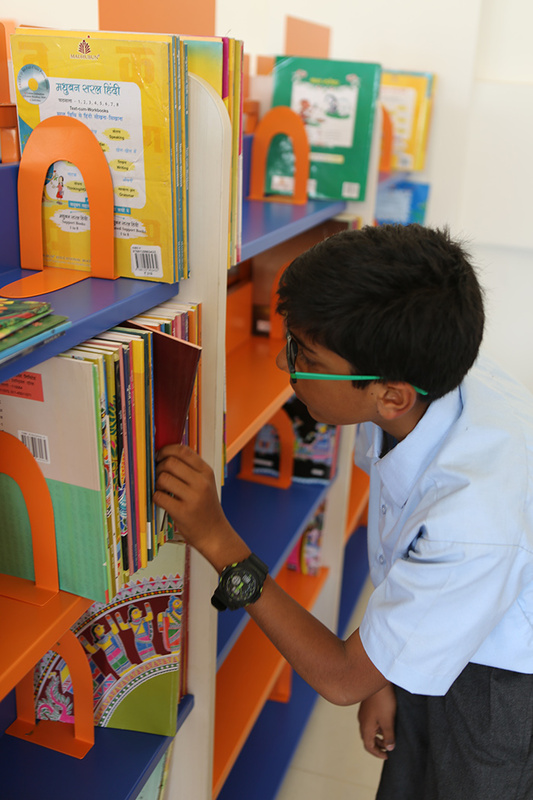 Middle School students study a curriculum that is broad based with emphasis on the core subjects – Mathematics, Science, Social Science and Languages. Students are engaged in experiential learning through a variety of resources. In addition to Art, Music, Drama and Physical Education, there are also many enrichment activities including outbound trips and exchanges with other schools.